Paper flowers have enjoyed a resurgence recently. In Victorian times and again in the 50s, paper flower making was popular as a craft and past time. An interest in all things vintage has revived this once more and people are increasingly valuing the individuality of hand made items as an antidote to factory and mass made products. 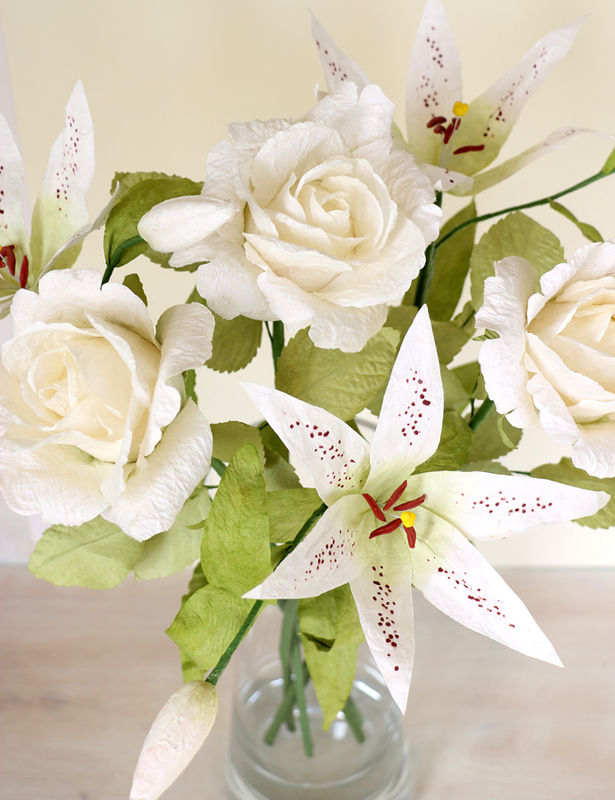 At Paper Tree our paper flowers are hand made from eco-friendly paper derived from the mulberry tree. The tree naturally sheds its bark which is made into a natural paper without destroying the tree. 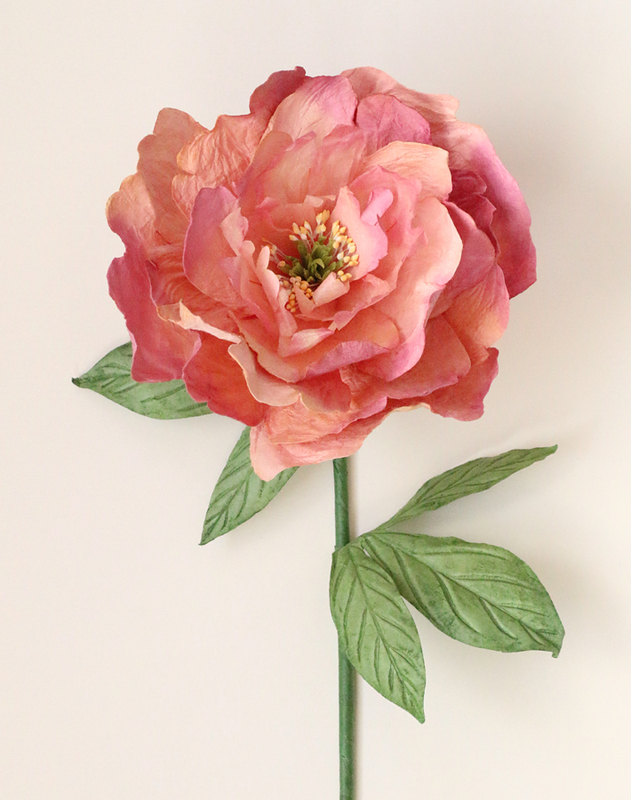 The paper is then handcrafted and coloured into beautiful, realistic looking paper flowers. The paper roses and lilies in the photo above are wrapped with paper and raffia making a lovely paper flower bouquet. The Peony is a gorgeous garden flower, the coral pink shade above is particularly stunning and in this paper bouquet it is mixed with a paper lily and rose. If you would like to make your own paper flowers there are some excellent tutorials on Pinterest, you can see lots of ideas on our Paper Flowers board. 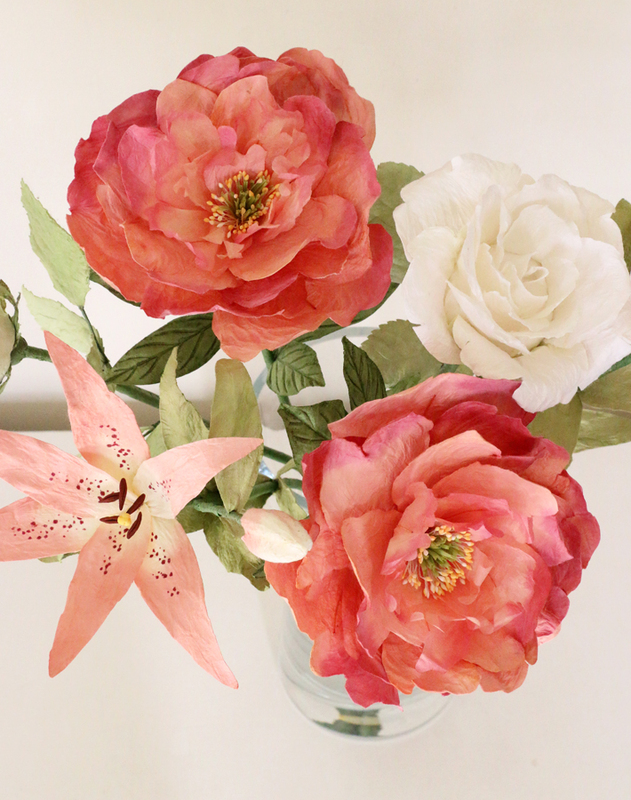 Lia Griffith has some particularly good tutorials and fantastic resources on her website as for this paper peony tutorial above. Don’t underestimate the time it takes to create these flowers, but if you have the patience it is a very rewarding craft. This entry was posted in Latest News, Uncategorized and tagged paper bouquet, paper flower bouquet, paper flowers, paper lily, paper peony, paper rose.